One of the platforms for sharing 360-degree photos is Google Streetview. 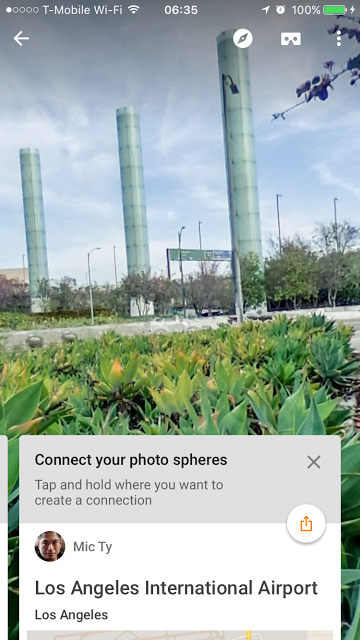 Google now added a new feature to Streetview that allows you to insert links in your 360 photos to other 360 photos taken nearby, similar to how Google’s Streetviews allow viewers to navigate. 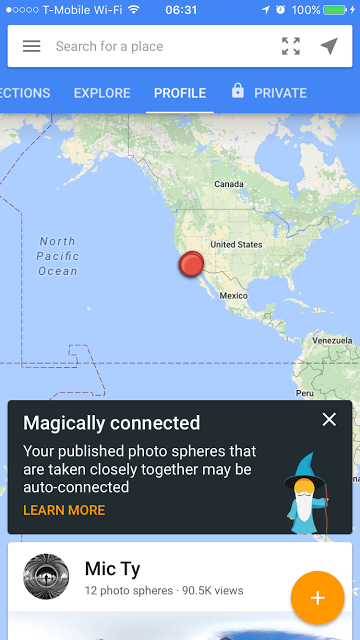 To use the feature, just pull up your photosphere, then tap and hold any spot where you want to add a link. Tap and hold only allows me to add a blur. What am I doing wrong? !